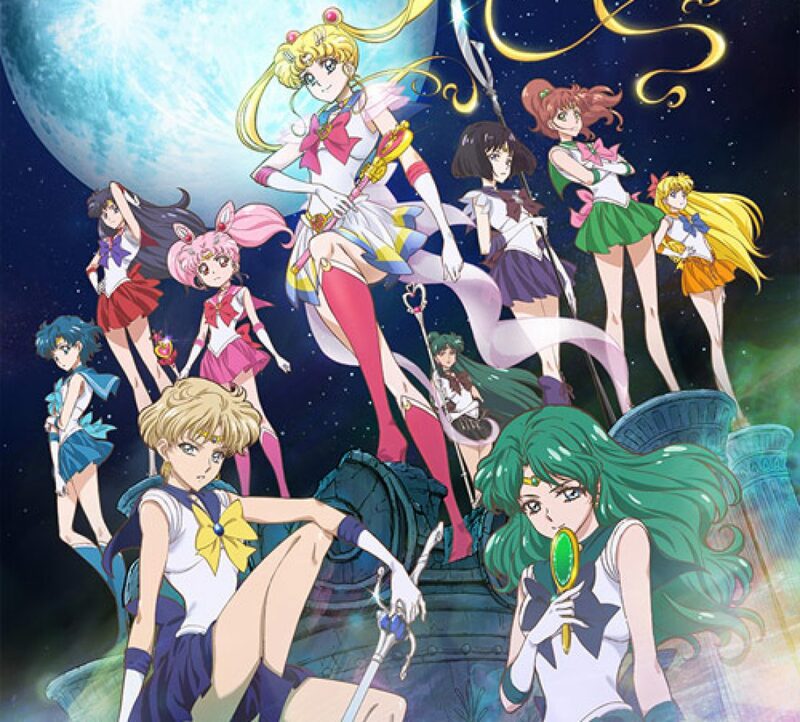 Sailor Moon Crystal Episode 8 Review | The Crystal Chronicles! 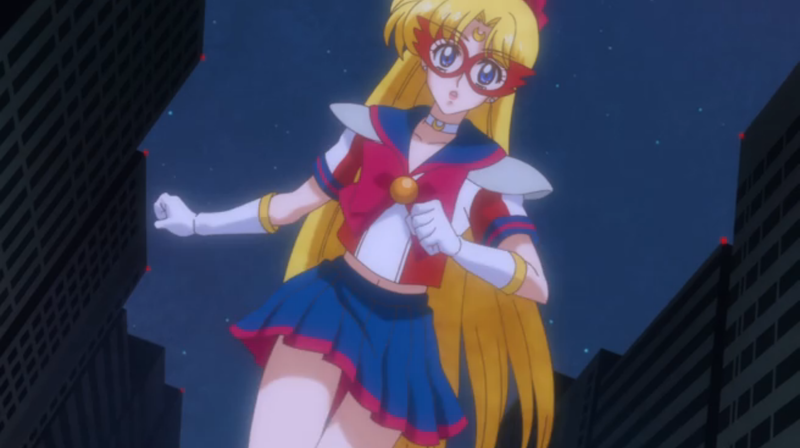 Sailor Moon Crystal Episode 8, Minako – Sailor V! We continue where we last left off with Sailor V makes the scene! After she saves Sailor Moon from Zoisite, Sailor Moon takes a good look at her and realizes that she is Sailor V! Her favorite hero! All the girls are in shocked that she has arrived with a different outfit. Artemis announces she is the Princess of the Moon Kingdom of the Silver Millennium and the successor of the Legendary Silver Crystal! Princess Serenity! The princess they all have been looking for finally arrives! 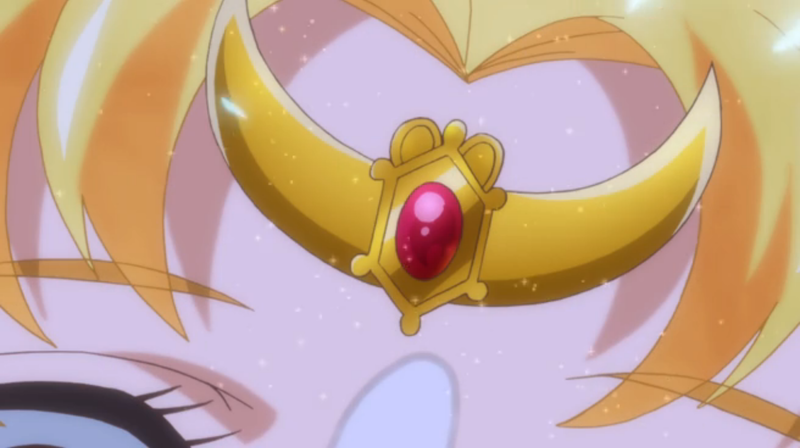 Suddenly Sailor Moon’s tiara changes and she regains more memories of her past life due to Sailor V’s appearance. Zoisite gives up the battle and returns to Queen Beryl. Tuxedo Mask recognizes Princess Serenity’s name, but he runs off being upset he wasn’t able to protect Sailor Moon. Sailor V walks up to the girls and tells them she feels like they have all met before. She also admits she was in control of the Sailor V game! 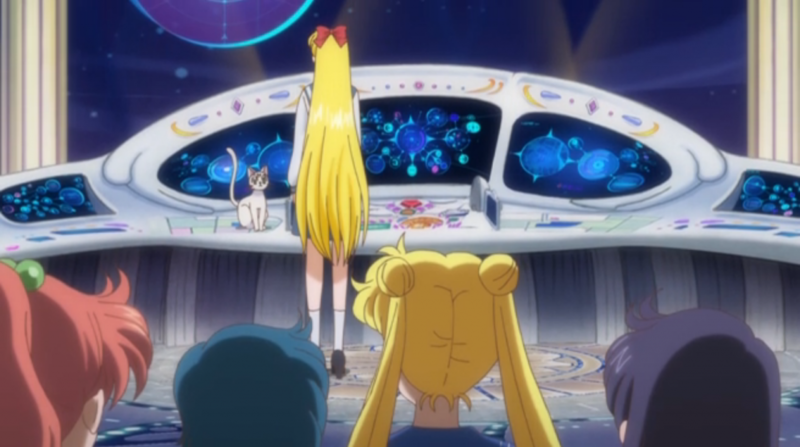 She was really talking to Sailor Moon in the last few episodes through the game! She reveals her identity as Minako Aino in her junior high school uniform. She does have a different transformation pen compared to the other girls. Interesting! Sailor V saving the day before Sailor Moon arrival! They head back to the command center to get to know about Minako’s background. Long before Luna found Sailor Moon, Artemis found her and made her Sailor V. She was solving mysterious crimes in Tokyo not knowing there will be one day the other Sailor Senshi will appear. Once they have collected a lot of data, they realize all the mysterious crimes were caused by the Dark Kingdom! Dark Kingdom is controlled by an evil being that emerged from the darkness. 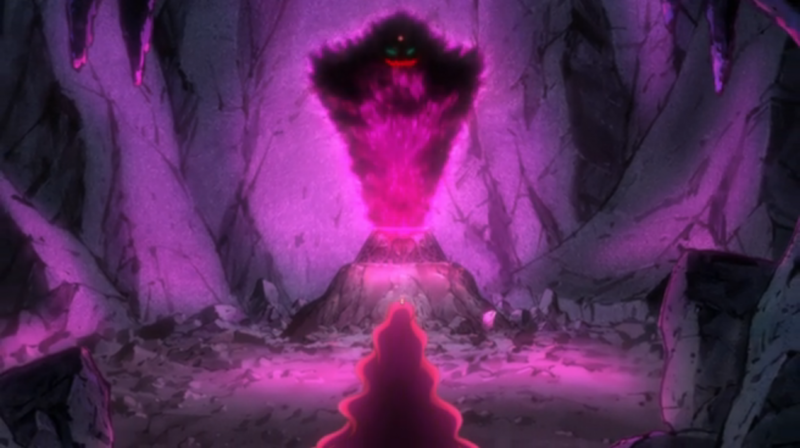 That evil being wants to control the Legendary Silver Crystal to gain more power and to conquer the Earth! Rei asks Minako, “Have you met her before?” She responds “Yes. Along time ago.” The enemy had destroyed the Silver Millennium, the Moon Kingdom, and stole everyone’s happiness. She was sealed away, but someone broke her seal! Minako tells them they need to seal her again before another tragedy strikes! Now the girl’s realized why they became Sailor Senshi. They are finally a full team with their princess! Usagi asked Minako “Where is the Legendary Silver Crystal?” Minako will not reveal its location to be safe. The enemy will now will do anything to find the Silver Crystal knowing Princess Serenity has revealed herself. The girls pledge their allegiance to Minako to fight and keep her safe. Minako leaves the girls at the end of their meeting with a serious look on her face. She knows with her arrival the other girls will start to regain their lost memories soon, but it seems she wants to rid the enemy before they do remember. I guess Minako wants to continue to work alone and keep the girls safe. What kind of memories do they have for her not to want them to remember? Did something really bad happened to them in the past? 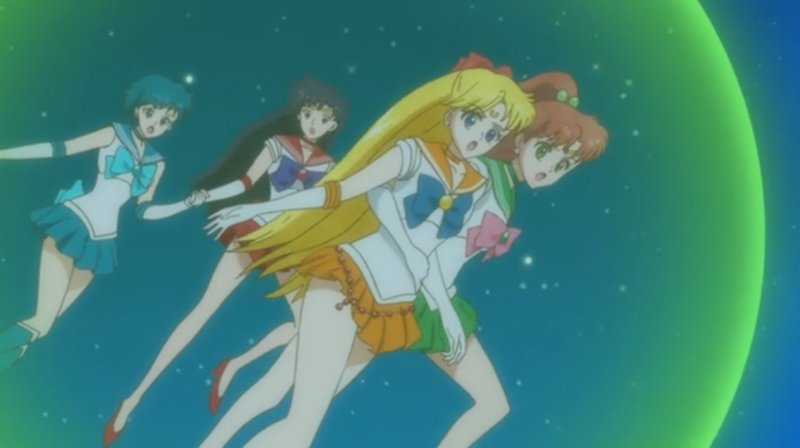 Artemis tells Minako she can rely on the others to help complete their misson, but she refuses. Flashback from the past! Old battle? Usagi wakes up from her dream about a battle scene. She is confused as to why Endymion would call her Princess Serenity? She is very confused by the dream, but she moves on with her day. Usagi lost in her thoughts about Sailor V bumps into Mamoru in the park. He has been reading books about crystals to help him search for the Silver Crystal. He apologizes for not protecting her last night, he feels ashamed to look at her. He believes it must be destiny for them to bump into each other at the park. (Aww…) Usagi wants to return his star pocket watch, but he tells her to hold on to it until he returns something of hers. She has no clue what he has of hers? He picked up her handkerchief at the ball as Tuxedo Mask, she never realized it was missing? They have a romantic moment together as Luna is worried about Usagi. Should she fall in love with him? She isn’t sure if Tuxedo Mask is really on her side. All she wants to do is protect Usagi. Artemis assures her that Tuxedo Mask is on her side and it is ok for her to be in love with him. I guess he knows something more about him then Luna? Artemis tells Luna they sealed a part of her memory to protect her, but its time for her to remember everything. Something big must of happened in the past for Sailor V and Artemis to seal their memories. I wonder what it could be?! The two evil queens are really worried now! Now the two queens, Queen Metalia & Queen Beryl, are starting to worry a bit about the princess of the Moon Kingdom appearing. Queen Metalia fears she will rise up and destroy her and rebuild the Moon Kingdom. Queen Beryl isn’t too worried, after all the princess should know where the crystal is, so why not lure the princess out? 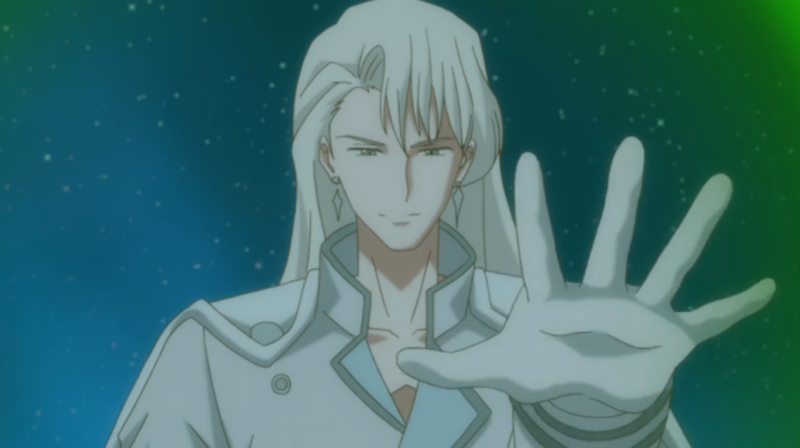 Kunzite appears before Queen Beryl and offers his services to her. Kunzite tells Minako through her mind to meet him at Tokyo Tower with the Silver Crystal immediately! If she does not comply, he will kill everyone in Tokyo! Wow! He is extreme and quick about it! Minako knows this is a trap, but she feels she must do this alone. Even Artemis tells her to let the other girls know, but she refuses. Is it really the right thing to do? The girls show up as Minako was running to Tokyo Tower asking her if she wants to hangout with them for dinner. She apologies and lies to them about being busy so she can go fight against Kunzite. Kunzite shuts down the electricity in Tokyo to show Minako he means business! The girls are shocked by the sudden black out and everyone is past out on the ground except for them. Mamoru wakes up from his dream about the princess calling him Endymion! Wait? Usagi had a dream being called Princess Serenity and calling out Endymion. 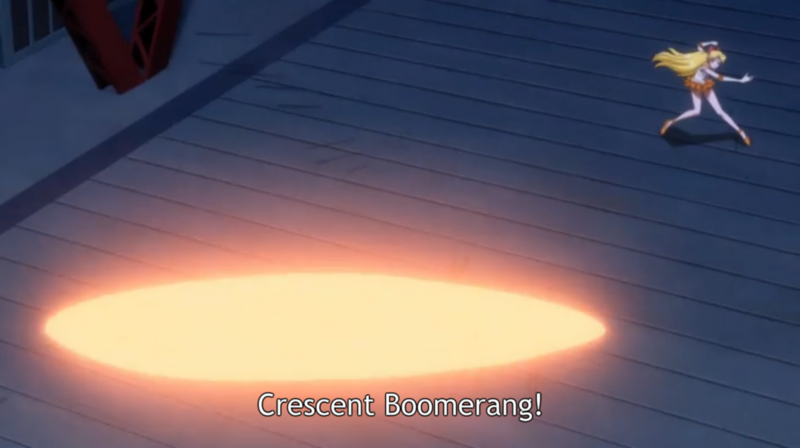 Now he is having that dream… If Minako is Princess Serenity, then what do these dream mean? 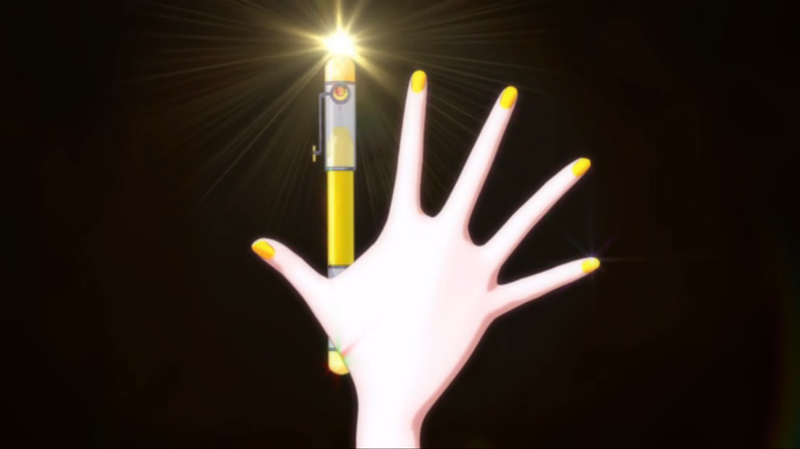 Minako transforms before meeting up with Kunzite at the top of Tokyo Tower. She quickly attacks him with Crescent Boomerang! Kunzite deflects her attack and hits her with a stronger attack. The battle starts to get intense! Sailor V/Princess pleads with Kunzite and tells him “This isn’t your true self!” He isn’t really an enemy? Is there more to Kunzite she know about? He seems to think about what she said to him, but Queen Beryl pushes him to continue his mission. He quickly returns to attack the princess again, but Sailor Moon stops him! Apparently they can create a bubble and fly in the air, which is pretty cool! Sailor Moon says her speech and tells Minako to rely on them. I guess keeping their names a secret doesn’t matter? Sailor Mercury, Sailor Mars and Sailor Jupiter each tell her to rely on them in their own words. Finally they area full team! Now to fight together! Sailor V/Princess was so happy to hear that from all of them, feeling now she belongs to the group. They quickly start attacking Kunzite all together as a team! Go team work! Sailor Moon gives the final attack with her Moon Healing against Kunzite! … It doesn’t work?! She couldn’t heal him?! He attacks Sailor Moon and she starts to fall! He starts to attack the others, but misses Sailor V/Princess as Jupiter quickly grabs her out of harms way. Yay! We saved the Princess! Oh.. oops sorry Sailor Moon! I thought they didn’t need a prince to save them based on the theme song lyrics….Oh.. wait, never mind! 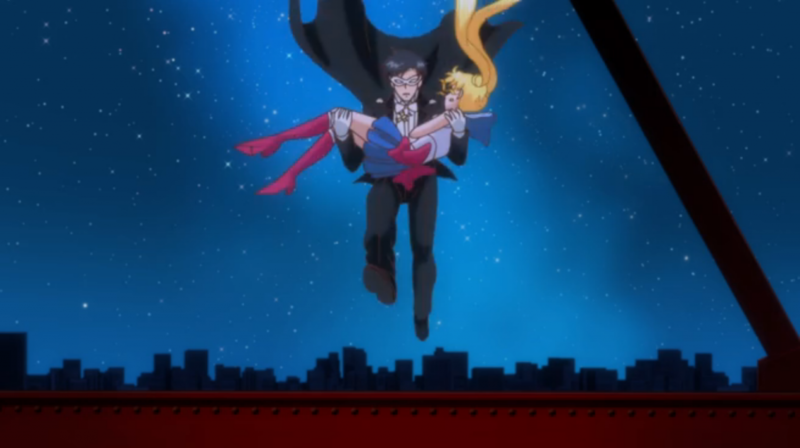 Sailor Moon tries to keep Tuxedo Mask safe! OMG! That surprised me! Go Sailor Moon!! Wow! Go Sailor Moon! She is one tough cookie! She surprises Tuxedo Mask with a kiss after she tells him to go to a safe place. She quickly jumps up to join with the other girls as Tuxedo Mask is mesmerized by her actions. Sailor Moon stands to protect the girls, but as soon as Kunzite attacks her Tuxedo Mask quickly jumps in front of Sailor Moon! His love her is so strong, that he wants to protect her no matter what! On no!! Did he survived?! The episode in the beginning felt a bit slow since we were learning more about Minako and a little bit more of their true mission. 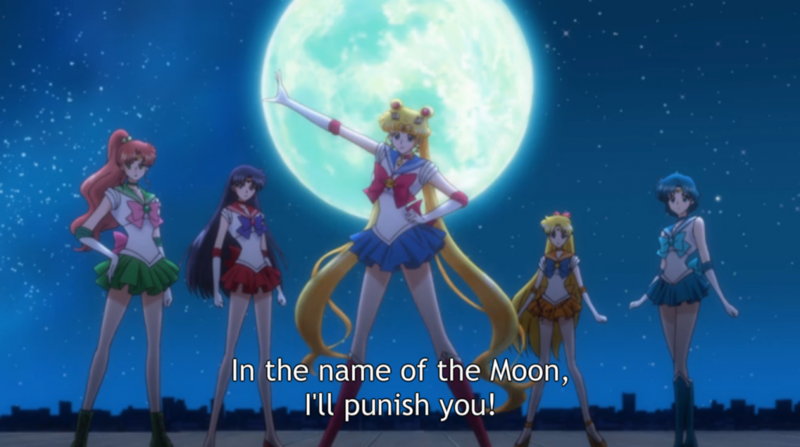 Minako is very serious about her missions compared to her many versions of her in the Sailor Moon universe. It makes her a better leader and shows how her character grows from being a solo warrior to being a part of a group. She shows near the end it really means a lot to her to have a group of friends who will be by her side no matter what. Not only we see Minako grow a bit in this episode, but Usagi quickly grows in this episode towards the end. Sailor Moon surprised me near the end! 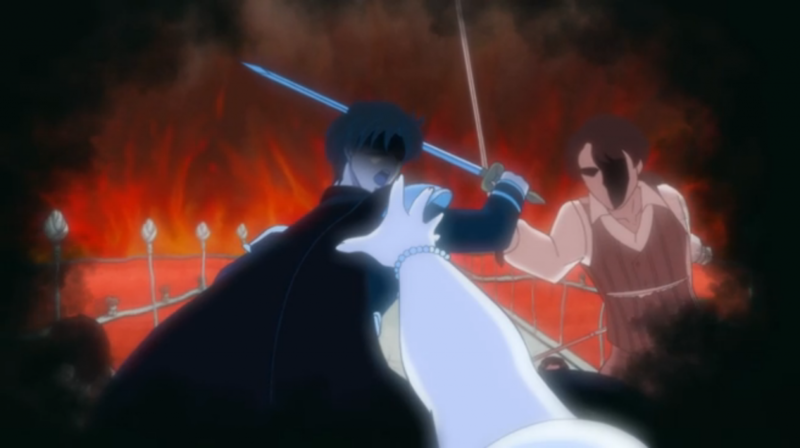 She was falling to her doom to only be saved by Tuxedo Mask, but instead of relying on him for the rest of the battle she quickly stood up. She ran back into battle like nothing happened and got to kiss the man she loves before she went back. 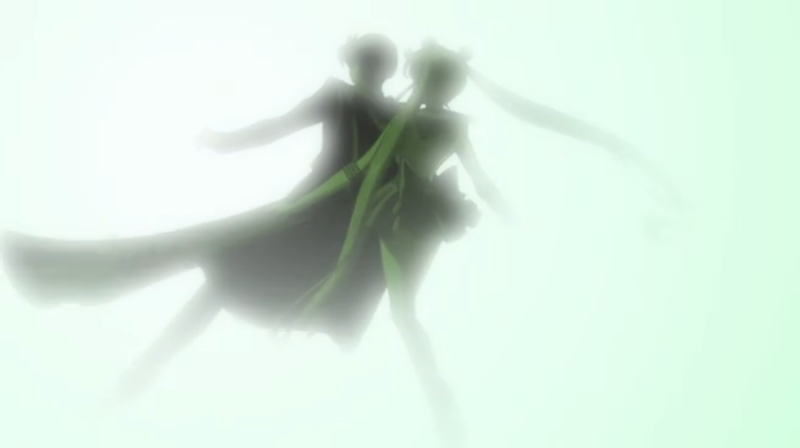 She tried to warn him to protect him, but in the end Tuxedo Mask ended up protecting her. This really showed how much they care for each other and giving Sailor Moon more guts. Looks like the next episode will answer more of our questions! Can’t wait!